Barcelona El Prat International Airport (code name BCN) is located 15 km south-east of the city centre of Barcelona (airport location map) . Every year, more than 47,2 million passengers pass through it (2017 data). How to reach Barcelona city centre from airport? 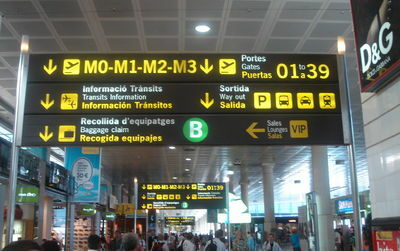 Barcelona airport is very easy to reach for both arriving and departing passengers. T1 and T2 terminals are perfectly connected to the city by train, shuttle, buses and of course by a large number of taxis. As you will see in our pages transfer in one direction or the other takes on average about forty minutes, including waiting. It is by far one of the most easily accessible airports in the country. 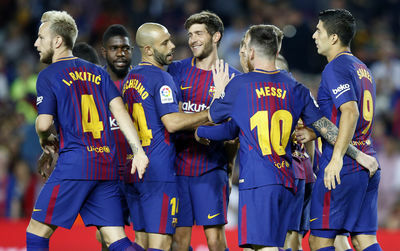 How much does a transfer from the airport to Barcelona cost? 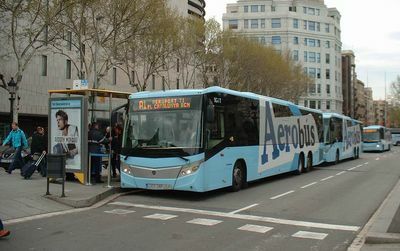 The transfer from the airport to Barcelona costs 5.90 euros per person if you take the bus shuttle bus and 2 euros if you take the most economical train. 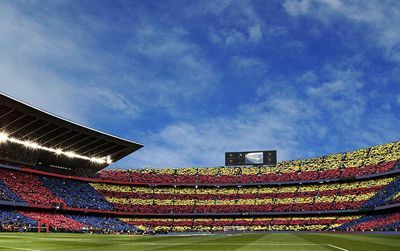 We have counted several other ways to reach Barcelona: private transfer, shared transfer and taxi transfers. 2 euros for the cheapest transfer and a very fluid organization, that's enough to relieve stress and give you a smile before you even leave. Barcelona Airport is now pleasant and easy to use since its reorganisation in 2009. A brand new and luxurious terminal the T1 and another one older but functional the T2. In both terminals there is no missing service to the traveller as you will see in our pages: parking, shuttle bus, shops, hotels, Faq's. Only one black point in our opinion - the distance of 4 kilometers between the terminals means that you have to take a shuttle which is a small waste of time... Nothing dramatic, however, as there are so many rotations. 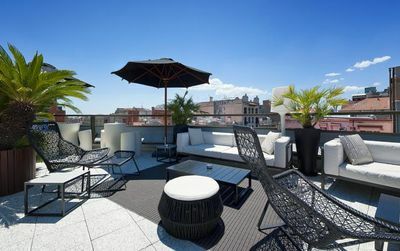 Book your Barcelona Airport Hotel easily !! To find out more about Barcelona El Prat Airport use the files below : Follow the pilot!! How do I get from Barcelona El Prat airport to downtown Barcelona? 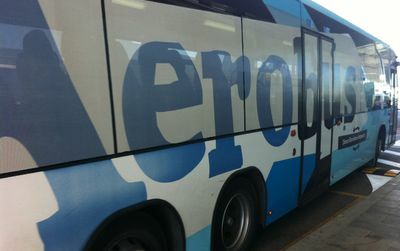 The best means of transport, fast and economical to reach the centre with complete peace of mind : Aerobus, train, metro, taxis, private transfers. 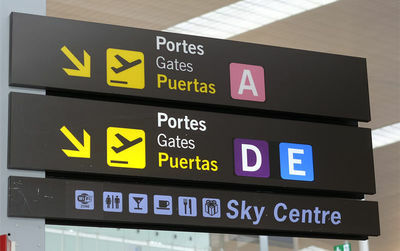 Arrivals and Departures and flights schedule from Barcelona El Prat Airport terminals T1 and T2 (BCN). 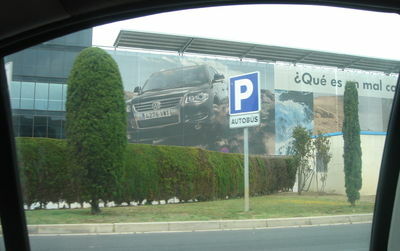 Barcelona airport car parks offer approximately 13,000 parking spaces for the T2 and 12,000 for the T1. Short or long term parking, drop-off, daily parking fees... We'll explain everything! How to get to the Barcelona airport and to the city ? 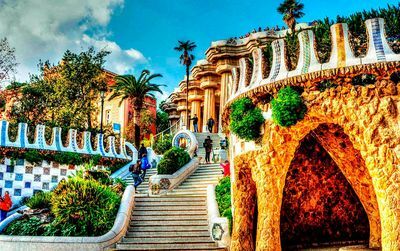 best ways to barcelona airport to city center ? Could you help? We are taking a cruise our of Barcelona but arriving early to do some sight seeing. Is there a limo service available and what is the cost involved? arrivo alle 20.00 quando tempo impiego per per lo stadio in taxi quanto mi costa? ho un volo che atterra alle 21.00 a barcellona (EL praT) e riparto per fiumicino alle 7 è possibile passare la notte nell'aereoporto? considerando che ho 2 bimbi? There has to be a way to reach the airport lost and found service by phone. No one else will be able to help if the items were left there and found but them. Try this phone number. Objetos perdidos of Terminal 2: +34 93 259 6440 from 9 to 13:00 and 16:00 to 20:00 It is recommended to persevere and give the more details about the lost object as possible. I am not sure if this phone is for the Terminal 1 as well or not. che distanza c'è tra il terminal 1 e terminal 2 ? e ogni quanto ci sono i bus che portano da un terminal all'altro? ho 1:30 tra un volo e l'altro rischio di perderlo ? on monday october 22;I forgot a hand bag at barcelone airport gate 52 when flying with Vueling to Paris at 4,10PM fly 8055. Bag is one to carry on shoulder ,color :red&black,containing a computer ASUS,2 canons cameras and a key. It is impossible to reach the airport by phone . Le 17 aout 2012, nous avons pris un vol sur la compagnie Vueling vol VY 3519 de Ibiza à Barcelone arrivée à 17H10, Terminal 1 afin de nous rendre chez nous à Paris (Barcelone-Paris vol VY 8091). Nous avons enregistré nos bagages ainsi que la poussette de notre fille à Ibiza numéro d'enregistrement de la poussette 2838446. Nous devions la récupérer à Barcelone sur le tapis des bagages mais nous n'avons pas eu le temps car nous devions prendre un autre vol pour rejoindre Paris Orly VY 8091. Pouvez-vous nous dire ce que nous devons faire pour récupérer notre poussette ? Est-il possible de nous l'envoyer par transporteur ? Je vous remercie par avance de votre aide. Merci de me répondre via le site. ¿ Cómo ir del aeropuerto de Barcelona a Premia del mar ? J ai perdu mon passeport à l'aéroport de Barcelone. J arrivais de Roissy Charles de Gaulle avec le vol de 13 h le 3 août dernier avec Easy jet. ?minimum time needed to disembark from long-haul flight,pass through immigration,retrieve baggage,pass customs,check-in at Vuelen flight to Seville? Quando arrivo all'aeroporto come posso arrivare all'hotel Catalonia Suite Barcellona? Dovrei incontrarmi con la mia amica nell'aeroporto di Barcellona per poi prendere insieme il taxi per la città. Lei arriverà con Ryanair da Roma e io con Alitalia da Milano. Mi chiedevo se i due terminal sono nello stesso edificio o comunque raggiungibili a piedi l'uno dall'altro. Grazie mille! Salve, Martedi 21/08 arrivo a BCN T1 alle 01.00, poi alle 10.25 ho il volo successivo..
cosa mi consigliate? prenotare un hotel nei dintorni o passare la notte all' aeroporto? j'ai un changement d'avion à Barcelone pour Séville. Combien de temps faut-il pour récuperer les bagages en soute. merci pour votre réponse. ME GUSTARÍA SABER SI EL VUELO FR 5122 BARCELONA-POZNAN DEL PRÓXIMO JUEVES, SU HORARIO SE VE AFECTADO POR LA HUELGA GENERAL. HOLA, QUERÍA SABER SI EL VUELO DE BCN-IBIZA A LAS 20H DEL JUEVES 29 SE MANTIENE O SE ENCUENTRA AFECTADO POR LA VAGA GENERAL. GRACIAS. Donde esta ubicado el servicio de guarda equipaje y cuanto cuesta? gracias. Arrived for EasyJet flight at 21:25. There is only one cafe and it has sold out of things to eat. Many dissatisfied people. era non operativo, perchè mi è stato annullato un volo da Bologna. Lo es posible de visitar el aeropuerto de Barcelona? Avez-vous un plan de l'aéroport? Perchè non trovo l'orario di arrivo da Venezia a Barcellona? vorrei sapere in quale terminal dell'aeroporto di barcellona arrivano e partono gli aerei della compagnia Ryanair provenienti da Venezia(Treviso).